I do not have any folders for sale at present. If you are interested in purchasing one please contact me at alistair.phillips@knives.mutantdiscovery.com. 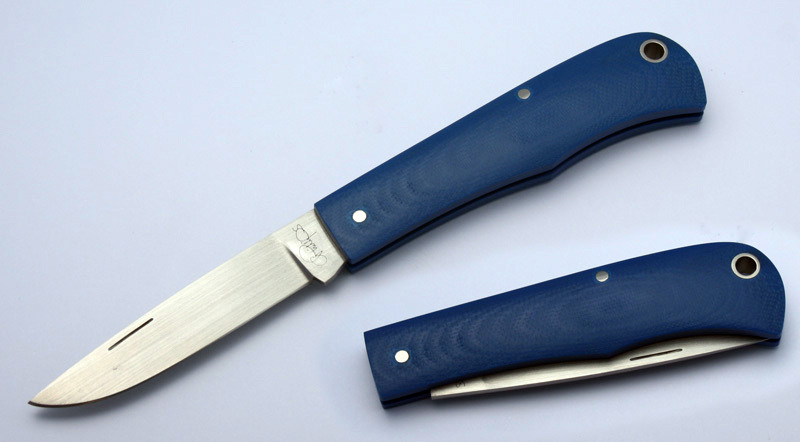 My linerless slipjoint folders have been very popular and they are a great lightweight every day carry UK legal folder. An equivalent knife with your choice of G10 or Micarta handle would be $275 Australian dollars + postage. For an ATS-34 blade and spring add another $50.